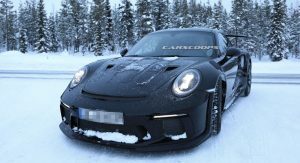 Porsche is putting the finishing touches the next-generation 911 but the model’s extensive lineup means the company is still updating its existing vehicles. 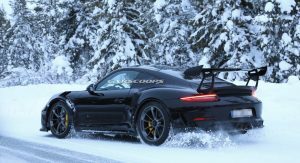 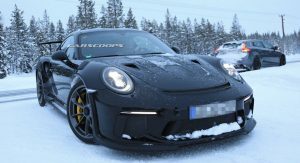 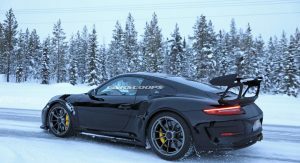 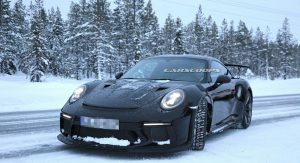 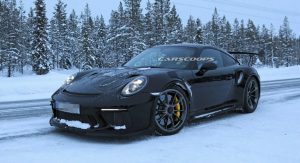 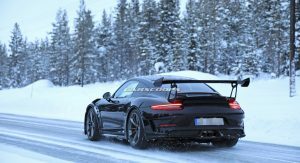 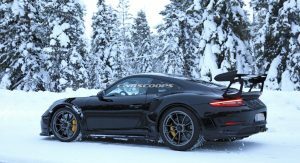 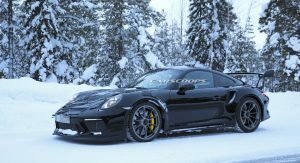 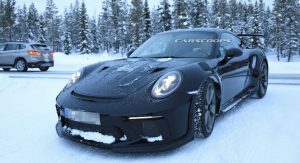 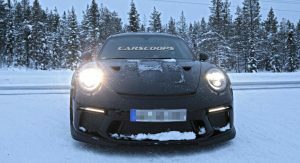 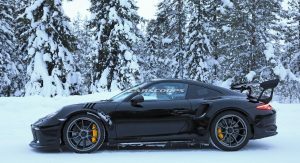 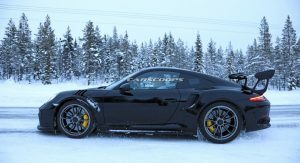 Such is the case for the 911 GT3 RS which is expected to be unveiled at the Geneva Motor Show in a few weeks. 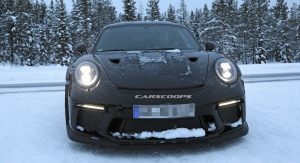 Recently caught undergoing cold weather testing, the facelifted coupe has an evolutionary design but adopts a modestly revised front bumper and slimmer daytime running lights. 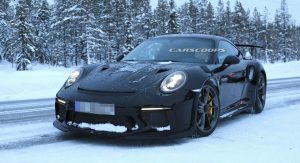 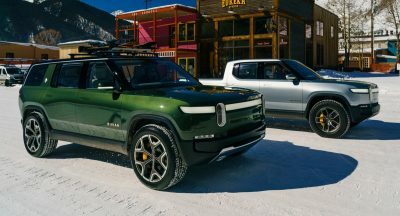 The styling changes don’t stop there as the car also features a new hood with two vents that help to cool the braking system without affecting the car’s aerodynamics. 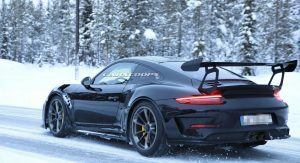 The styling changes at the rear are less noticeable and would likely only stand out to the most diehard fanatics. 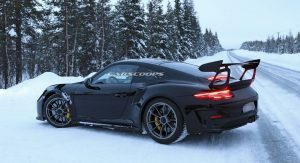 Regardless, the company installed a new rear bumper and updated taillights. 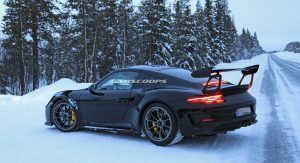 The car also features new wing supports, modestly revised wing tips and a new engine cover which includes an integrated third brake light. 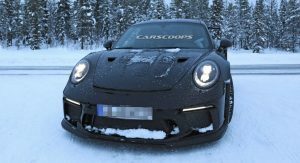 Speaking of the engine, the 4.0-liter six-cylinder will reportedly develop 520 PS (382 kW) which is a minor increase of 20 PS (14 kW). 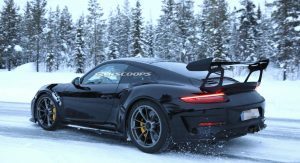 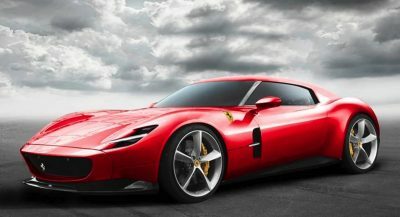 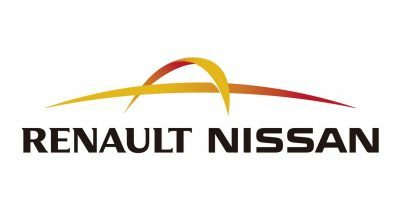 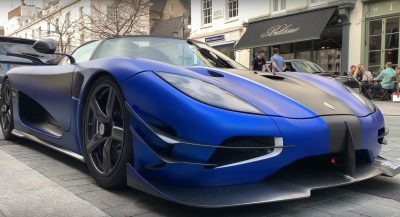 Thanks to the extra power, the updated model should be slightly faster than its predecessor which could accelerate from 0-100 km/h (0-62 mph) in 3.3 seconds. 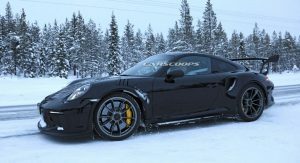 And because I plan to drive my 911-GT3 in a blizzard. 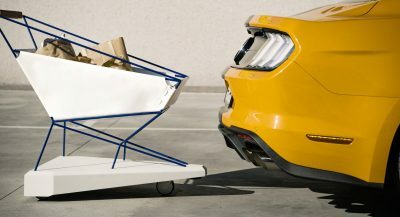 Previous PostPrevious Yes, This Is A BMW M3 Dressed As A Volvo 162 Coupe!